Dorothy (‘Dot’) Redit was born on 10th December 1920, the last of eight siblings, and the only one surviving [see note on the family]. They lived in Hawk End Lane, in the house (then a pair, now a single dwelling) on the left just before the bend. Her parents were Minnie (née Manning) and Charles Goymer, a miller (at Baker’s mill, she thinks). The garden was very small (“no room to have chickens”), and had a well shared with next door. Algy and Rosalie Rice lived in the Lane, and later Ray Eyres (5 years her senior) too. May Fox (1 month older) was nearby in School Road. Dot went to school from age 5 to 14; she liked it all right, and was good at spelling. The schoolteachers then were Harriet Durrant, Miss Goodchild, Henry Sterne, and Miss Ollie (who didn’t live in the village). Mr Sterne lived in Cooks Road. He was a good master, strict, used a cane; “if you didn’t know the answer, say ‘black beetle’ or anything!” There was a blackboard (chalk) on the wall, and they all had little slates as well as pencil & paper. The family went to the Methodist Chapel three times each Sunday day; this included Sunday School – she doesn’t remember the teacher (perhaps a Mr Calthorpe, well before Charles Nunn’s time). But she does remember an old man, Archie Barker, who used to come up to chapel by horse and cart from Crawley Hall, Norton; they used to ride with him back down Bunkers Hill and then be let out to come home. On leaving school she started doing housework first for Mr Leeks at the Post Office, then for the Chambers’ at Whitehouse Farm, which was still a working farm at that time. She first met Frank Redit when she was 15; he used to come over on his bike from Ashfield, where he was a farm worker. But when they got married four years later, and she insisted on staying in Elmswell, he got a job working for Mr Kirkwood at Elmswell Hall (and for Mr Chapman when Mr Kirkwood retired), and they took up residence in School Road. After a while they were able to move into an old house (now called Old Farm Cottage, on the corner of Farm Meadow), which was tied to the Hall Farm: they had just the left-hand cottage of the pair, the right-hand one being occupied by the Charlie Buckle family; [they lived there till Frank retired, when they moved to the bungalow in Thedwastre Close]. There was plenty of land; the garden went right down to the ditch, and they had a chicken run with hutches and huts – they’d glean the fields to help feed the chickens. 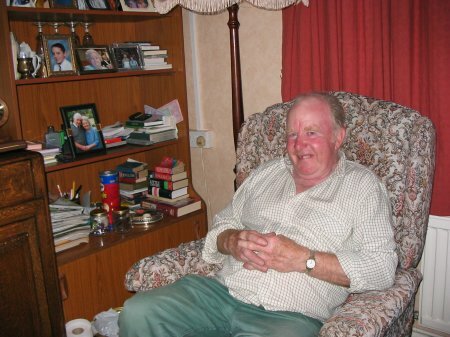 Frank planted carrots, gooseberries and other vegetables, selling the surplus to Mr Leeks’ shop. He also, in 1947, set the walnut tree (planted the sapling) which still stands by the fire station, once the top end of their garden. Weekly bathtime was in a tin bath, the water heated in the ‘copper’; “Don’t wash your face in the bathwater”. The children would take Frank his tea, maybe cheese and raw onion sandwiches, or bread and dripping, and a bottle of cold tea (no flask); they’d sit on the stacks. They’d also help in other ways, such as catching rabbits, and getting moorhens eggs using a tablespoon tied to a long stick (“lovely rich yolks”); John mentions making holes in the top of a cocoa tin, and taking it to the shop to catch mice, to bring home for the cat! They thought rabbit pie and pigeon pie nice at the time, but wouldn’t eat them now. A favourite pastime was toasting bread at the fire, and cheese so it dripped onto the bread. Fertiliser for the allotments… there were no flush toilets then, and they used to take the old pails they used as toilet pans down to an area they called ‘the bog’ at the bottom of Kirkwood’s field, chain-linked off. John remembers playing football on a meadow where the present fire station is; The pond there provided endless fun: the children could skate on it when it froze over [Dot didn’t skate on the pond in her childhood, and doesn’t remember whether her siblings did]. You could catch lizards and newts – you’d tie a worm on a bit of string, and soon get a jar full of them; there was “a bit of an old boat” on there, and an American fuel tank you could float in the water and push across. They also played on another meadow round behind our chicken run across to the thatched house where old Mr King used to live. John remembers School Avenue being built on this meadow when he was at school. The kids used to collect Corona and other bottles from the building site, wash them up, take them to Ella Kinsey’s shop (the lock-up on School Road) and get threepence each. Later they had a big ol’ skippin’ rope across School Avenue and played Hopscotch on the pavement. There used to be a lovely playing field where they’ve built the new primary school. Buggs’s Fair came to where the fire station is; Dot says earlier it was on Pye’s meadow. 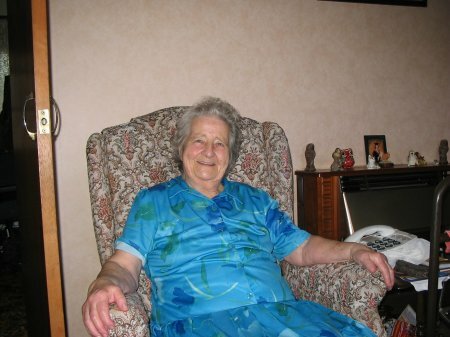 Ena Pegg: lived next door, funny old gal, had a lot of cats, at night called them all in (loudly?! ); old Mrs Manning tripped over them; She used to go stickin’ (picking up sticks for firewood); one day, down Kirkwood’s field – shouldn’t have been there really, was kicked by a horse called Bentley – taken to hospital, but died; She used to go about with Connie Armstrong and Connie Harbourne? (Eva)…; none of them were married. Mr McNeil had the Albatross once; Mrs MacNeil had a shop there too – Jill used to go up and collect the baby milk and orange juice. There was a Redit blacksmith on New Road, where Billy Pleasance lives; not sure of the name – George? Jill says ‘Grandad Redit was Frank Walter’. Police: Mr Shepherd. And Mr Porter – he was a lovely policeman Dot was on a high-stepper (bike), coming from School Road to Post Office, turning right to go down ‘Grange Road’ (The Street) She apparently ran into Mr Westcott the policeman, coming from Grange Road: he was very concerned that she be OK, thought he’d tell me off but he didn’t He even wanted to lend her a bike…; he was on an ‘Excelsior’ (scooter?) himself. Something about a drive between where Madey lived and the council houses, where Mr Eke kept his horse and pony on the meadow. Pat Eke used to run through their front yard. George Smith lived opposite the (Railway) Tavern; he had a pony and trap, and wore a straw hat and apron – they can’t remember what he did. John wonders what happened to the big honours board from the Old School: names he recalls from it were John Wyatt (White?) and Jonny Palmer, who both gained 11-plus scholarships. (Jill:) The Chapel used to do Religious Instruction and had an “Eisteddford”. Her siblings were: Evie (who died aged 51), Bill (born 1902), Jack (born 1913), Sid, Rosie (who died in 2004 aged 96), Mable, Olly and Dot. Her father-in-law was another Frank Redit. She remembers a paternal uncle in New Road, but not her grandparents, and there had been an Aunty Daisy. John Redit never married; Jill quotes him as saying If I ever did marry it’d be to a plain ol Jane so’s no other bloke would come along and take her away! In the cemetery are buried: Minnie and Charles; Bill (William Charles), his first wife Amy and second wife Marjorie (‘Doddy’ or ‘Margie’); Jack is Dot’s brother. Two other Goymers there are Fred (“what kept the shop”), and his wife Dorrie (née Mulley, Alan Goymer’s mother). There is also Leslie Redit, Dot’s brother-in-law (Frank only had one brother). On the WW1 Roll of Honour in the church, the W Goymer could have been her brother. In the old school register there are several Goymers: Daisy could be Dot’s Aunt….